BEN HOGAN EDGE CFT IRONS 4-PW IRONS SET STEEL REGULAR FLEX C.F.T. 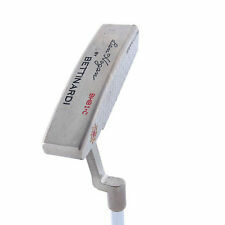 Ben Hogan by Bettinardi BHB4-x 34 Inch Putter With Headcover. Condition is Used. Shipped with USPS Priority Mail. Nice Bettinardi putter that is excellent. It is a clean putter with a headcover. Bettinardi is a high grade putter maker. Right hand. Condition is Used. #3 flex I believe is between stiff and regular. New ListingBen Hogan VKTR 18* hybrid RH FST 115 extra stiff flex,41"
Ben Hogan VKTR 18* hybrid RH FST 115 extra stiff flex,41". Condition is Used but in good shape overall with only standard wearing.shaft label is missing. Golf pride grip. Shipped with USPS Priority Mail. Good set of pro line Hogan Apex redline irons.2 through E (PW). Each has a no. 4 Stiff Apex shaft. Looks like 2 iron has different serial number. 6 iron has small ding in leading edge (see close up). Hogan Apex 4 Graphite. Fairway Woods. Apex Channel Back. 2nd Swing Minnetonka is 1 of only 3 Studio B Fitting Studios in the country. 72 P.S. § 7213.2. Shaft Type. One service we provide that adds value is custom fitting. For sale is a mint set of 2019 Ben Hogan PTX Pro Irons 4-PW Dynamic Gold S300 shafts RH. These were just released. Condition is Mint. Took to the range once. Shipped with USPS Priority Mail. Standard length, lie, loft. Plus 3 wraps of grip tape. MINT Ben Hogan PTX Pro Iron Set 5-PW RH KBS Tour V 110 Stiff w/ Equalizer 50/54! MINT Ben Hogan PTX Pro Iron Set 5-PW RH KBS Tour V 110 Stiff w/ Equalizer 50/54! 8 clubs total. Used these for 1 range session that lasted 30 minutes, these have never seen the course. Custom ordered with matching serial numbers. The pw, 50, and 54 are all 1/4 short. The 5-9 are standard length. All irons are 1* flat, and all have matching shafts and grips. Thanks! Shipped with FedEx Ground or FedEx Home Delivery. Used Ben Hogan Apex Grind Iron Set 2-E (2.3.4.5.6.7.8.9. Apex Stiff Flex Steel Shafts. The single club photo is the 6 iron to show a reference to the length of the iron set. All single pieces (drivers, fairway woods, hybrids, single irons, wedges, putters. ). SHAFT: Apex 4 Graphite Stiff Flex. MODEL: Apex Edge Pro. TYPE: Iron Set (6 thru PW,SW) 6 club set . LIE ANGLE: Standard (The 6-iron is 61.5' as an example). 7: VERY GOOD- Irons would show moderate use. 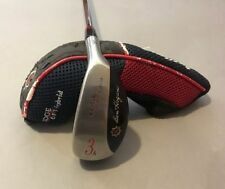 MRH Ben Hogan Apex FTX Lob wedge 36" long. Face and grooves are very nice showing minimal use. Shaft is very nice with Apex Frequency Matched shaft band. I believe the flex is stiff but the shaft band does not indicate that. Ben Hogan 2000 Apex 3-S Iron Set of 9 clubs. Reg Flex Steel Shaft #25360. One owner. This is a previously owned item and may have signs of age or use. I'm Not Perfect I Do Miss Things. Condition is Used. Headcover included, thought not a Ben Hogan. Club is standard length and lie. Condition is Used. Ben Hogan headcover included. Club is standard length and lie and in mint condition. New! 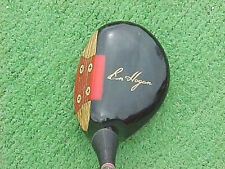 Ben Hogan-“Equalizer-Black” 60* Lob Wedge! KBS 110 R-Flex & Hogan Grip! New! 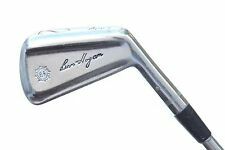 Ben Hogan-“Equalizer-Black” 60* Lob Wedge! KBS 110 R-Flex & Ben Hogan-Lamkin Z5 midsize Grip! This wedge is basically brand new! Only been hit a couple of times indoors. Shows no wear on face or sole! (Model: 1972 Apex 2-E Iron Set. But for the 6 iron and E wedge they all carry the number "H" 24232. Thought I'd just add that in now.). They have their shaft bands. Shaft Condition: Fair to good. MRH Ben Hogan Bounce Sole 3-9 irons, matching serial numbers. Club heads could be cleaned up to show nicer, the 9 iron has a ding on the leading edge, and the ferule is partially missing, as seen in the photos. I DON'T THINK YOU CAN FIND A SET LIKE THIS ANYMORE! THIS IS A GREAT SET FOR THE MONEY! 5 out of 5 stars - Ben Hogan BH-5 Irons 3-PW Stiff Flex Apex 4 Steel BRAND NEW w/SHOP WEAR!! 1 product rating1 product ratings - Ben Hogan BH-5 Irons 3-PW Stiff Flex Apex 4 Steel BRAND NEW w/SHOP WEAR!! ben hogan ptx 4-pw(22-46) iron clubheads. Condition is Used but in good condition overall with only standard wear and tear. Club that shows that most wear is the 8 iron which has some scratches on the sole of the club . The hosels of the clubheads have been bored out and will accept a .370 shaft or .355 shaft with a adapter. Let me know if you have any questions. BEN HOGAN EDGE FORGED IRON SET 3 THRU PW RH . Condition is Used. Shipped with USPS Priority Mail.SEE PHOTOS, RIGHT HAND,STEEL SHAFT WITH FLEX 4 ,FROM EARLY 1990S.GRIPS ARE NEWER GOLF PRIDE BLACK TOUR WRAP IN VERY GOOD CONDITION,GREAT PRICE OF 50 BUCKS. I WILL ALSO THROW IN A OLDER 2 BALL PUTTER,RIGHT HAND,35 INCH. ENJOY. Brand New still in Wrapper Ben Hogan Big Ben C-S3 Formed Face Titanium Face Driver _ New 8.5* Toe weighted . The Shaft is Aldila H 70-S designed for Ben Hogan. Original new Ben Hogan Grip. Ben Hogan Apex Edge Forged 4-EW Iron Set - #4 Stiff (S) flex Steel Irons Used RH. Condition is Used. Shipped with USPS Priority Mail. Excellent roll and feel! This club features Ben Hogan no step steel shaft and a NEW IGUANA GOLF putter grip. Both in Above Average condition, lightly used. 2nd Swing Minnetonka is 1 of only 3 Studio B Fitting Studios in the country. Crown: Light wear. One service we provide that adds value is custom fitting. Condition of heads is good and shown in photos GRAPHITE Shafts EASYFLEX Light Weight , Low Kick Point , Carbon Fiber Technology by UST Golf Pride Tour Wrap Grips are in very good condition Shipped with USPS Priority Mail. Sweet set of BEN HOGAN APEX FTX 3-PW Iron Set. 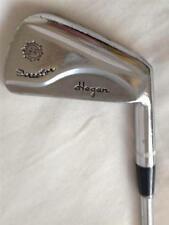 Great price for classic set of HOGAN irons. Hard to find in this condition! 4.5 out of 5 stars - Ben Hogan APEX FTX Iron Set Golf Club 3-E Wedge Great Condition!! 46 product ratings46 product ratings - Ben Hogan APEX FTX Iron Set Golf Club 3-E Wedge Great Condition!! Ben Hogan...Round Sole Iron Set.....2 thru 9. All Original...Nice. Ben Hogan...Round Sole iron set....2 thru 9. Really Nice Condition. Matched set with all original shaft bands and grips intact. Standard length...5 iron measure 38.5”. Stiff shafts...(Hogan Apex 4) Very good grooves and only minor cosmetic issues. The Hogan brand is experiencing a revival, thanks to vintage irons like these. PayPal only... I will send quickly with tracking. International bids welcome using the global shipping program. Thanks very much. Ben Hogan Apex Blades Mens Golf Irons 3 thru Wedge Right Handed. Very good condition. Navy Blue golf pride tou r velvet grips.enjoy! Condition is Used. Shipped with USPS Priority Mail. 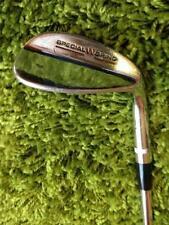 Ben Hogan Special SI sand wedge is in used good playable condition. Original Apex steel shaft, the flex is either wedge or stiff, and a playable Golf Pride grip. The length is 35 1/4". Ben Hogan Copper Special Loft Wedge 60 Degree. Condition is Used. Shipped with USPS Priority Mail. Ben Hogan "rail" on sole. Leather grip---Good Playable Condition. Excellent used conditon---Expected paly & bag marks---Excellent Playable Condition. Ben Hogan C-S3 Formed Face Titanium Driver 7.5* Loft 70-X Shaft. Condition is Used. Shipped with USPS Priority Mail. Grip is original Hogan in fair and usable condition Neutral weighted. Club head and shaft in very good condition. Small scratch on club head and seen in photo. Head cover shown is included. Ben Hogan Apex Plus Iron Set 3-PW Rifle 6.0 Steel Stiff Right Handed 37.75 in. Fairway Woods. 2nd Swing Minnetonka is 1 of only 3 Studio B Fitting Studios in the country. 72 P.S. § 7213.2. Shaft Type. Excellent condition Hoganardi BHB1-C putter with original, matching head cover. Nice ben hogan apex plus forged irons 3-ew,sw. Irons in very good condition, frosting on all the faces, appears they were used only several rounds. Hello, Up for sale is a ONE-OF-A-KIND BEN HOGAN CUSTOM IRON SET - APEX 1999 FORGED BLADE SET 4-9. Refinished in satin chrome by the Iron Factory and pre bent to modern specs with a 42* 9 iron, 38* 8 iron, 34* 7 iron, 30* 6 iron, 26* 5 iron, and 22* 4 iron. They come with Dynamic Gold S400 Tour Issue shafts and Golf Pride BCT Cord grips. Silver ring ferrules make this set look sleek and amazing. You’ll never see a set like this again. Condition is Slightly used but immaculate. Shipped with USPS Priority Mail. Hogan vktr hybrid. Golf pride mcc plus4 grip logo down. About 40 5/8" No cover. Condition used good. Ben Hogan 6004 Wedge that’s been used 3 times on the course. Practically brand new with new Ben hogan black grip. With minimal bounce, the 6004 Lob Wedge enables golfers of all abilities to execute the most delicate of shots required on the golf course. Great for recovery shots from difficult situations around the green, including the difficult 'flop shot'. The 6004 is perfect for tough pin placements that require high, soft shots with maximum spin and control. Shipped with USPS Priority Mail. Ben Hogan VKTR 18* hybrid RH FST 115 extra stiff flex,41"